Ghevar – A La Moi! I have always enjoyed cooking since I was quite young..It was a thing of curiosity, a thing of necessity and always had mystery around it..
And it helped that whatever I cooked turned out to be more than decent, tasty most of the times..& when your labour of love is enjoyed by all, it gives you immense satisfaction!!! Over the years, I had lost touch with my most favourite activity..yes, I cooked sometimes but it was only when mom was not around to do so.. I had been so occupied with my work that the desire to cook was buried deeply in a box which had been locked for a long time.. The first time when the desire popped its head out of the box was while watching Masterchef India..It was amazing how day to day ordinary cooking was turned into an art!!! The one dish on MC India that fascinated me was Ghevar, looks so simple yet so difficult to prepare.. Thanks to nishamanjulika.com for the easy to understand recipe, I armed myself with all the ingredients required to make Ghevar.. I was also attempting making Rabdi for the first time, as a garnish to my Ghevar.. So Almonds & Pistachios chopped finely, milk kept on boil for rabdi, now Ghevar time..
Whipping with spoon wasn’t helping & hence had to whisk with hand..At one time i was wondering whether these two will ever come close 😉 He He.. 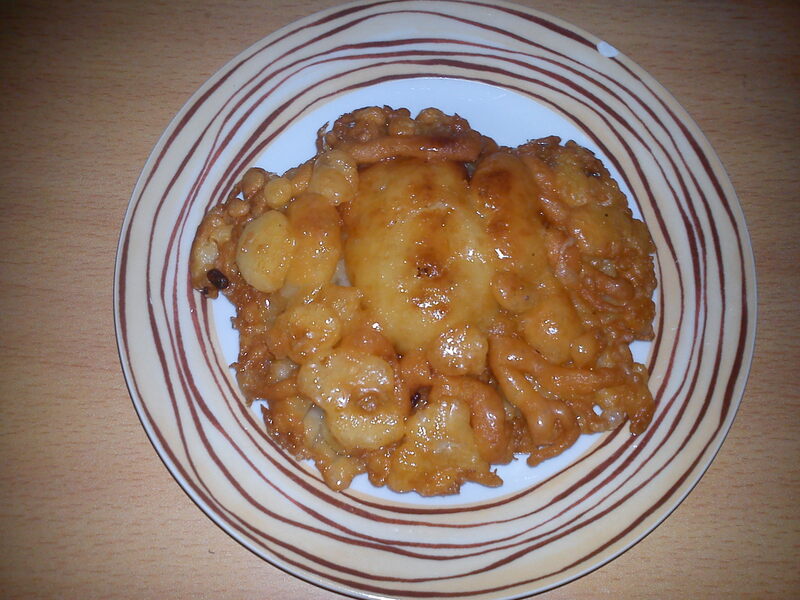 Finally, the milk & ghee relented & I heaved a sigh of relief..Mixed the flour & made a nice batter with perfect consistency..
Now the time to make the Sugar Syrup..
Now came the hardest part – making the actual Ghevar..
How hard i tried but the batter refused to create “Jalis” (A mesh like consistency)..Anyway, the taste was quite good (Papa Speaks)..So Far So Good!!! Well the attempt looked nothing like Ghevar but I did not relent till the batter was quite finished.. I know, Marwaris would kill me to call this a Ghevar, but i would call it Ghevar A La Moi!!! 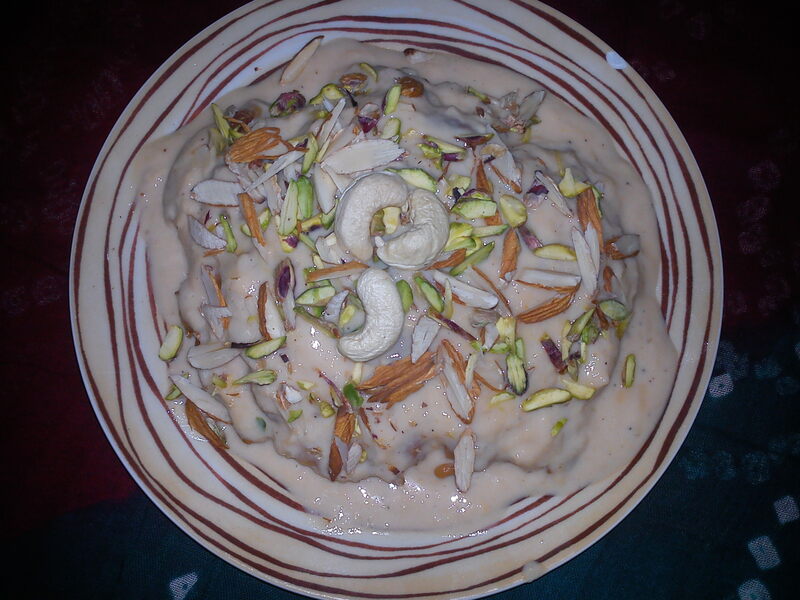 Garnished with rabri & rich dryfruits did make it look appealing & the taste was yum!! !